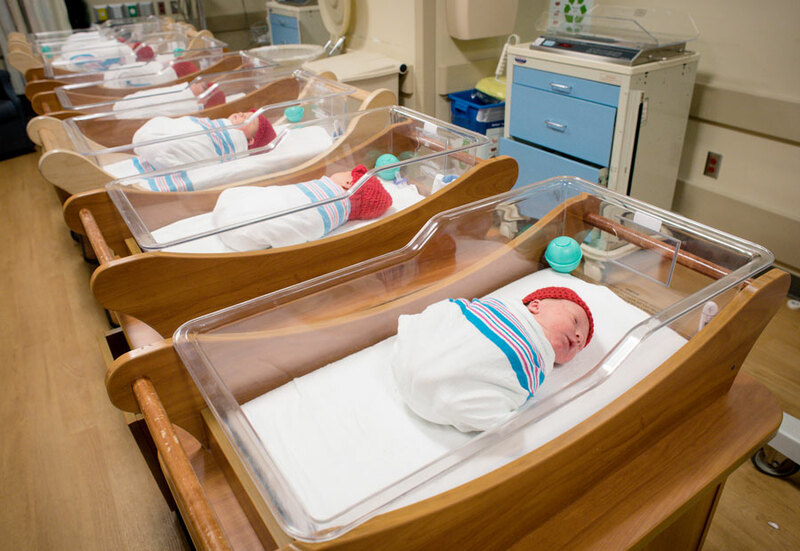 The hope is that the red hats donned by the hospital’s littlest patients will help spark conversation about heart-healthy practices for children.Babies across UAB’s Women and Infants Center will be spotted wearing knitted red hats, instead of the traditional pink and blue, this February for a good cause during American Heart Month. The hats, knitted by volunteers and donated by the American Heart Association of Birmingham, are part of the association’s “Little Hats, Big Hearts” initiative to spread awareness about congenital heart disease, as well as how families can lead heart-healthy lives. For the team in the Women and Infants Center, educating newborns’ parents on congenital heart disease is a focus, and they hope the red hats donned by the hospital’s littlest patients help spark conversation about the disease and heart-healthy practices can be implemented for children early on.